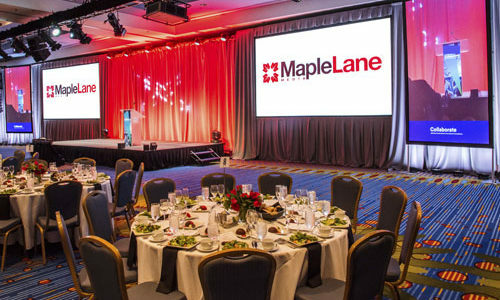 This event required 2 vertical screens to project the camera image while the 2 horizontal screens projected videos and power point. 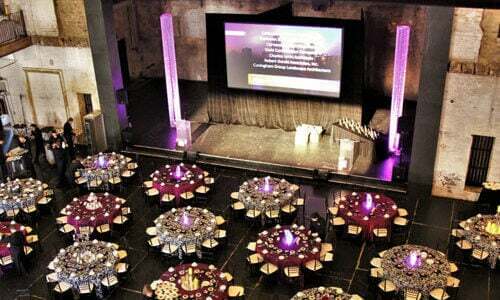 Every venue is different and requires different audio systems to fill the room with sound. 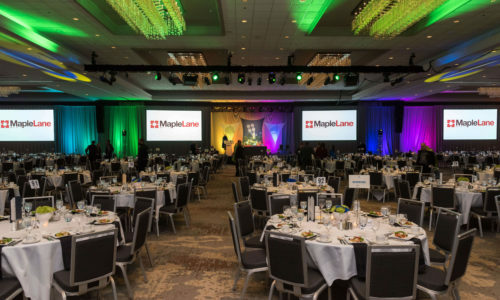 We can provide full audio, video, and lighting support for your live gala entertainment. We used 3 identical projectors to produce identical images. 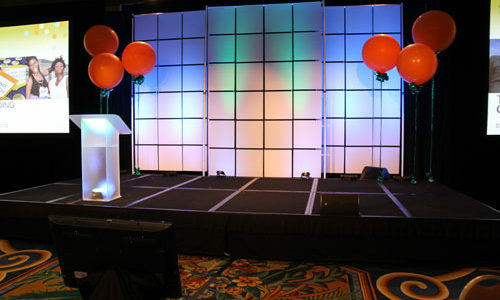 Custom stage panels were used to provide an array of light. 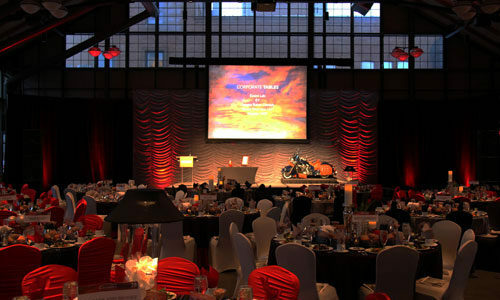 Colors and props were used for this event to bring the theme to life. Panel discussions with crowd interaction. 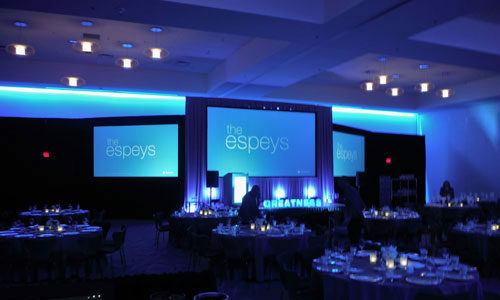 In this image, décor lighting enhanced the drape and multiple GOBOs were used throughout the space. 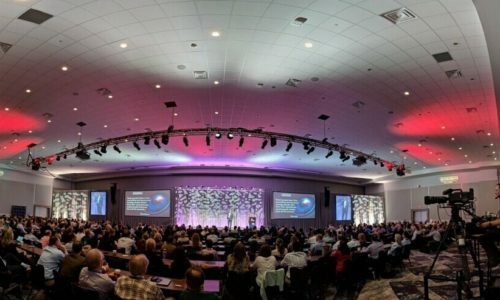 This event had a full house so 4 large screens were needed for proper viewing. 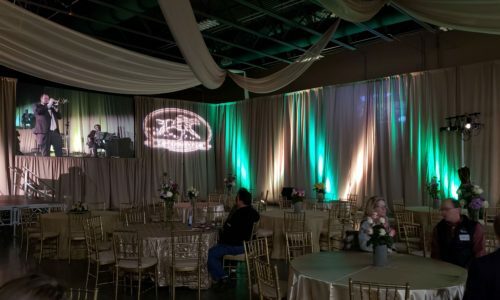 Add some additional “Wow” comments at your events by utilizing truss for bridges, lighting and rigging. 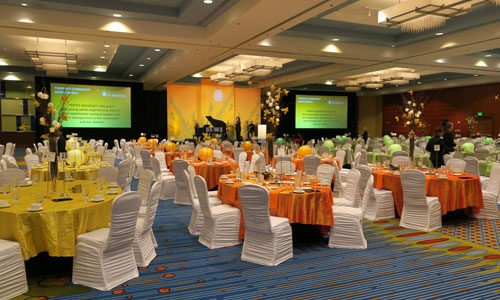 Using color schemes to maximize your event’s message. 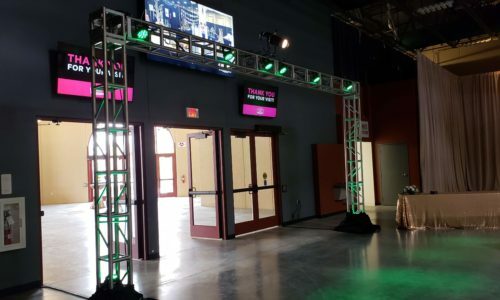 Rigging support or “flying” the equipment can open up more floor space for your attendees. Web streaming is monitored to ensure the end user is receiving the stream clearly. 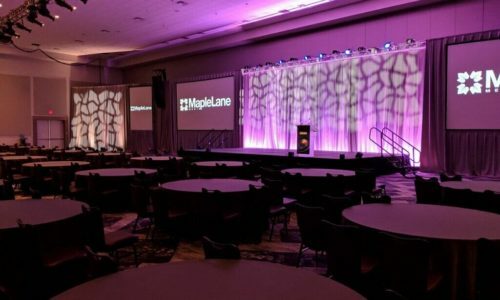 Who is Maple Lane Media? A brief video about us. 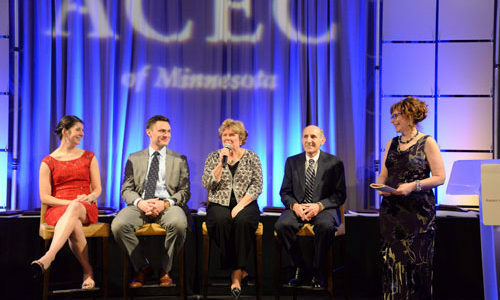 We produced and edited 12 candidate videos for the TwinWest Chamber Business Awards. This is a short video of one of the categories.